When I wrote my last column, it was high summer. Now it’s the tail end of Storm Ali. Perfect conditions for settling into a comfy chair with a good story! Despite this, and impressive figures of over 10 million Dekker books sold worldwide, I admit to not being immediately wowed when I heard about his latest offerings. 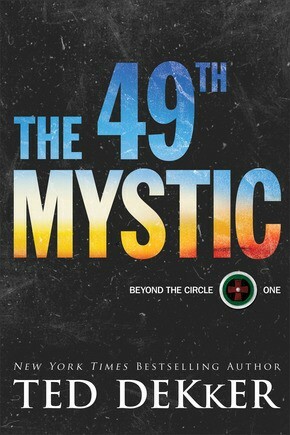 However, when I read the blurb for The 49th Mystic I was hooked. It’s a brilliantly told story, which in my case just goes to show that not loving a previous book from an author doesn’t mean I won’t enjoy any others! Motherless Rachelle is close to her father, David. Although blind, she ‘sees’ using sonar clicks, navigating through her world confidently. When strange things happen during a medical procedure to restore her sight, Rachelle soon finds that it’s just the beginning of a series of dramatic events. While she sleeps in Eden, she wakens in another place and time. A place which seems dangerous yet familiar and where she must trust people she barely knows. At first it’s a relief to wake up back in Eden, but life there is about to change forever, and everything she knew and thought to be true will be turned upside down. As ‘the 49th Mystic’, long prophesied, she must find five ancient seals before it is too late. They might be in either world. And danger follows her in both. If you’ve ever woken up from a dream so vivid that for a few moments you struggle to work out what is real, then you will completely connect with Rachelle! Although in her case there really ARE two worlds in which she is living separate but strangely connected lives. Captivated from the very beginning, this was a book I read compulsively. It’s a 5 star read! I find it interesting to hear an author’s view of their books, and Dekker has answered some questions about his latest two. Through the books we follow Rachelle’s journey, which is at its heart a spiritual quest. Do you think everyone has the ability to take this journey? Everyone IS on that journey, whether they realise it or not. And that becomes very clear in this story (Rise of the Mystics). The novels explore the path from fear to love, blindness to sight, and darkness to light. Can you expand on these concepts? We are Christians, but we live in fear of loss. We live in blindness to the kingdom of heaven now present. We live in the darkness outside of our glorified nature, risen with Christ. These novels take us into a radical re-examination of what love, light, and sight are, and why we, though claiming to be Christians, are still lost to these simple truths. Which character in The 49th Mystic and Rise of the Mystics has made the biggest impact on you? Without a doubt, Rachelle. She really is all of us – certainly me – journeying through wild adventure to know herself in the midst of great change and challenge. Was there any part of this story that surprised you while writing it? I was taken off guard by the climax, the last hundred pages. I had no idea it would end the way it did. But I quickly understood that it was the only ending that made any sense. Why do you think that novels can convey truths so effectively? We live and think in a story that we each call ‘my life’. Thus, story is paramount to our human experience, which is why Jesus used it as his primary mode of teaching. We are all looking to change the story of our lives. In fiction, we take that journey of change through a series of events involving worthy characters who change as a result of those events. And we are invited to change with them. Like Dekker, I strongly believe in the power of fiction to reach people in an unpressured way with spiritual truths. Ted Dekker’s books may be at the top of your list, or they may not be ‘your thing’. So, next time around I’ll be looking at ‘finding your fiction fit’: investigating genres. 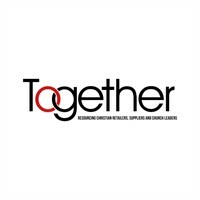 Anne Rogers is a freelancer specialising in publishing and photography. She works with Christian publishers on both sides of the Atlantic and has a particular passion for fiction, having been an avid reader of stories since early childhood.